next year of southern Germany! the first weekend of February. sweet tables and multilevel motif and wedding cakes. Around your sales area we offer a comprehensive supporting program, that leaves no visitor wishes open! CHARITY-EVENT This year at the my cake raffle we could collect 4.865 € for the Radio 7 Drachenkinder. CREATE AND TRY! In workshops and demonstrations professionals share their knowledge with the visitors. In the Kids’ Area the little ones start their first adventures or can learn their craft directly from the bakers. WELCOME TO SHOPPING PARADISE! Nice and useful! Bid your products to a well-funded audience and expand your customer base. TEND AND ENJOY! Can cake be sin? The sale of delicious pies, cakes, cake pops, chocolate and confectionery are convincing from the opposite. True to style there’s prosecco and coffee in the my cake café. JOIN PAY OFF! Demos, live-events and workshops around your products and services. Come in action with the visitors. We will market your activities centrally. MEN-CORNER When men get tired, they can wait for her women relaxing with cold beer, table football and TV in the men-corner. PASSION THAT CONNECTS! 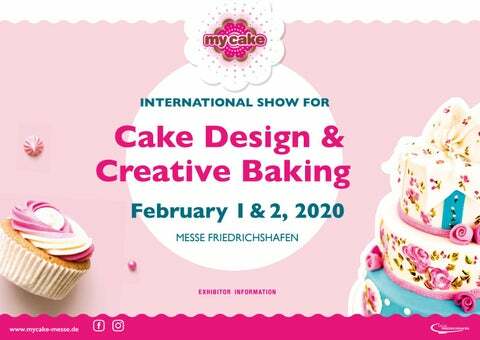 Whether exhibitor or visitor – the my cake is the perfect platform for networking. CAKE ARTISTS SEARCHED! One of the show highlights is the big IGT cake competition, where ambitious cake designer show their skills. Visitors in shopping mood In the region of the Lake of Constance, people can still afford something. The purchasing power in the catchment area per inhabitant is above the average. And from this fact you will benefit. Messe Friedrichshafen operates comprehensive marketing activities throughout the year in the four-county region of the Lake of Constance. So you can be sure that you meet your target group on the my cake and expand your circle of customers. form a common economic area with high purchasing power. With tation of trade fair visitors is extremely strong. IF YOU HAVE ANY QUESTIONS? WeÂ´ll be pleased to help! 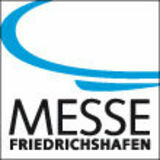 Messe Friedrichshafen is a longtime professional for leisure fairs in Germany. We organize international trade fairs and exhibitions for trade visitors and consumers, using our innovative concepts and effective marketing and media channels.